When I got into the pool today I felt really quick. I ate a small breakfast and had no lunch before I went. 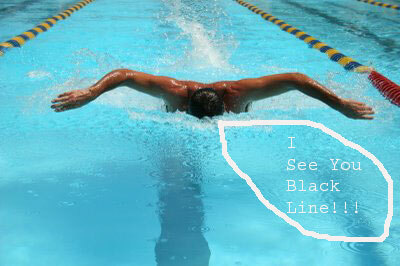 There was a guy in the lane next to me who is a very good swimmer. I kept on pace with him for the most of the time. Something was different though. Usually I start tiring out around the 15 length but not today. I made it all the way to 30 lengths (15 laps) without tiring. This is a new first for me. Feeling rejuvenated I finished off the rest of my swim with another 15 laps. My overall swim time dropped by almost 5 minutes which is quite impressive for me. I kept thinking while I was looking at that stupid black line on the bottom of the pool why I was so much quicker and feeling good. Could it be because I took it easy this past weekend and rested or could it be that I ate ok and didn’t have any bad food sitting in my stomach. What about me not eating anything except breakfast? After finishing my swim I drove home and took one look at my treadmill and said what the hell. I threw my bathing suit in the bathroom, put on my running shoes and turned the treadmill on. The speed was at 6.2 mph with a 3% incline. Surprisingly I still felt strong. My iPod had some new jams on it and I just kept on rolling. At mile 2 I caught a second wind and decided to crank up the mph to 7. This is moving along pretty good for me. When I hit mile 3 I knew I was starting to feel gassed and stopped. When I added up what I did: a 3/4 mile swim and a 3 mile run it got me thinking that I could possibly do a mini triathlon. TriathaNewbie.com says a mini triathlon is usually a swim under a mile, a bike ride from 9-20 miles, and a 3-6.2 mile run. Well today I did almost 2 out of the three and I was not even going at full speed. I have always thought about doing a triathlon but have not committed to it. Maybe I can start out small to get myself in the right direction. This might be the thing I need to keep my focused through the winter. The activities I do in the summer, softball and golf have already ended. I am not involved on any winter teams so I have more than enough time to train and focus. 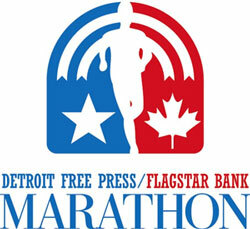 A couple of years ago I did the Detroit Marathon so I know I can focus on training. You know what. Let’s do it. I am going to do some research on training for a triathlon and see what I come up with. Its not going to hurt me to change up my current workout routines. P90X is all about changing it up so this is what I need to do. Thanks. I’m doing my best to get there.